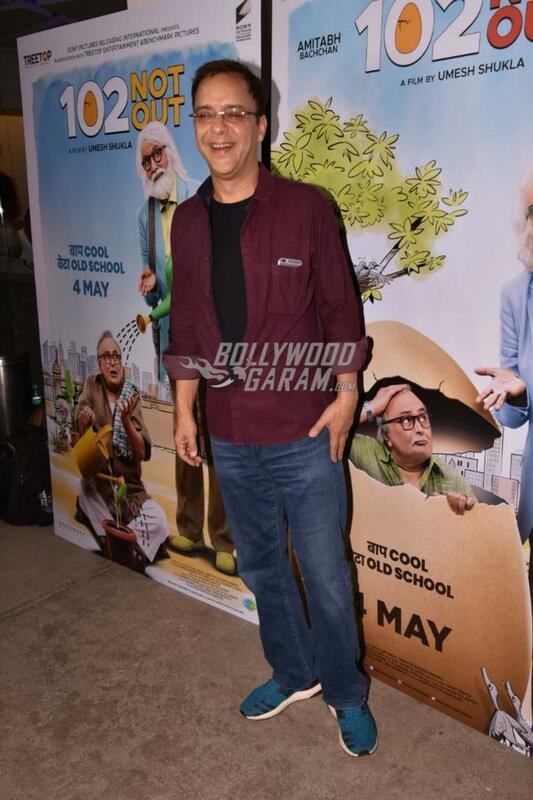 Celebrities from Bollywood attended the special screening of the upcoming film 102 Not Out in Mumbai on May 1, 2018. 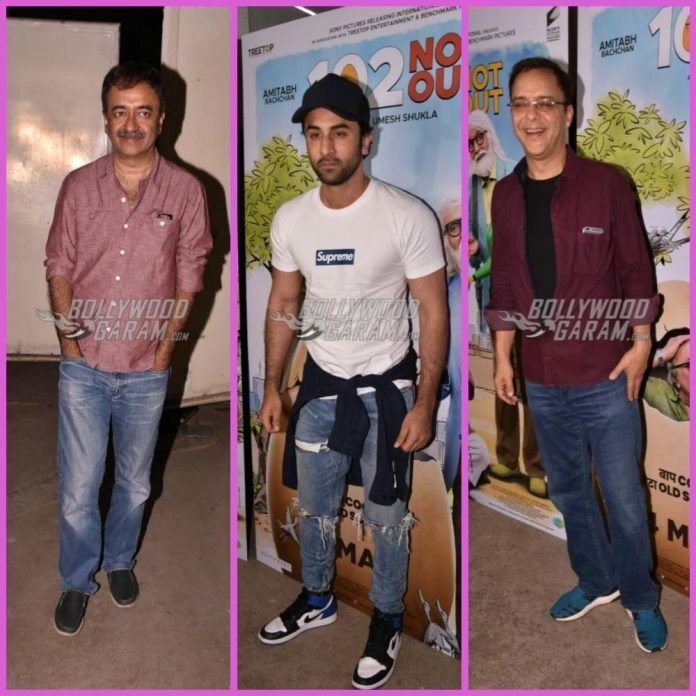 The screening event saw the presence of Abhishek Bachchan, Ranbir Kapoor, Rajkumar Hirani, Vidhu Vinod Chopra, R Balki and others. 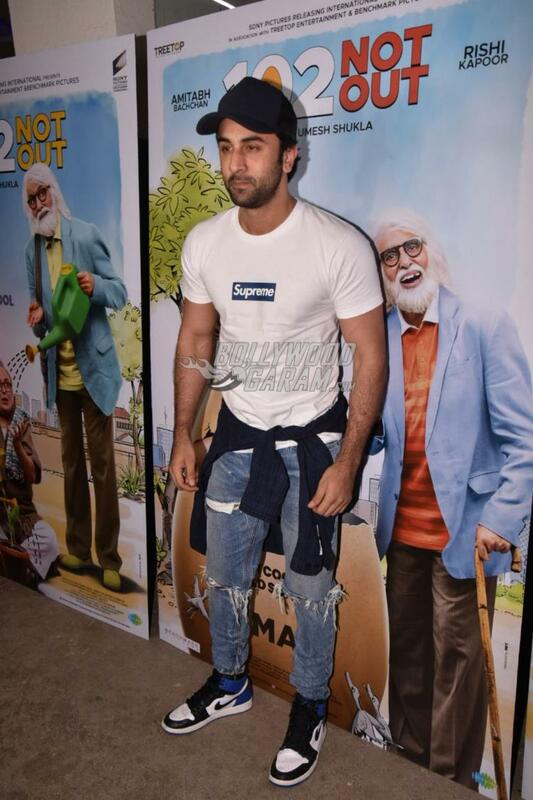 Abhishek Bachchan’s father Amitabh Bachchan and Ranbir Kapoor’s father Rishi Kapoor will be seen sharing the screen space after 27 years in the film 102 Not Out. Ranbir looked cool for the screening event in a white t-shirt, blue rugged denims with a cap while Rajkumar Hirani was seen in a casual shirt and a pair of denims. 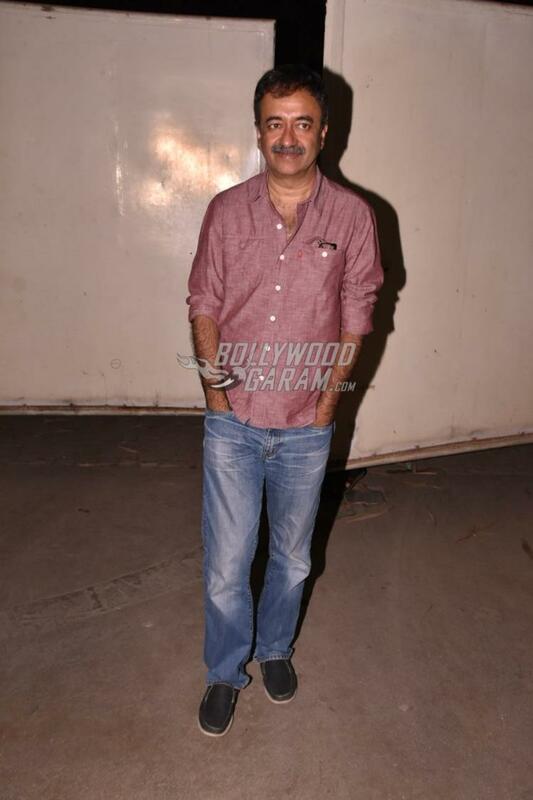 Amitabh will be seen playing the role of a 102 year old man while Rishi will be seen playing his 75 year old son. 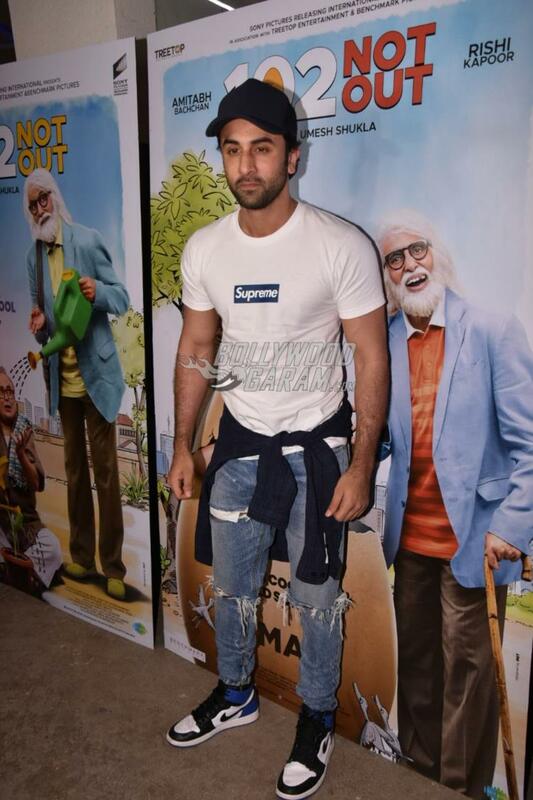 The film is based on the Gujarati play with the same name and is about a 102 year old man who is trying to break the record of the oldest person in the world, which is currently held by a Chinese man. 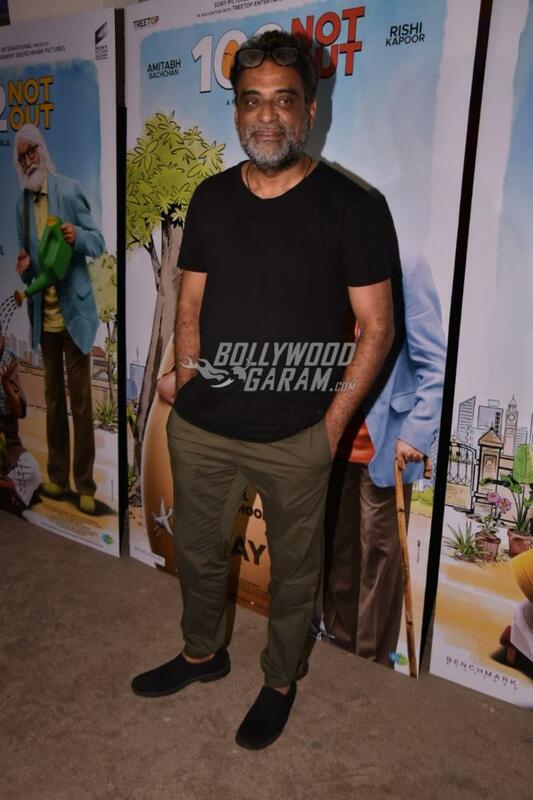 The film will be released in theatres on May 4, 2018.